Alberto on the day he was rescued. Sweet Alberto was sighted wandering the streets extremely dehydrated and starving. He was reluctant to approach Tina and had little reservations about being rescued as Kim fed him and slipped a collar around his neck. 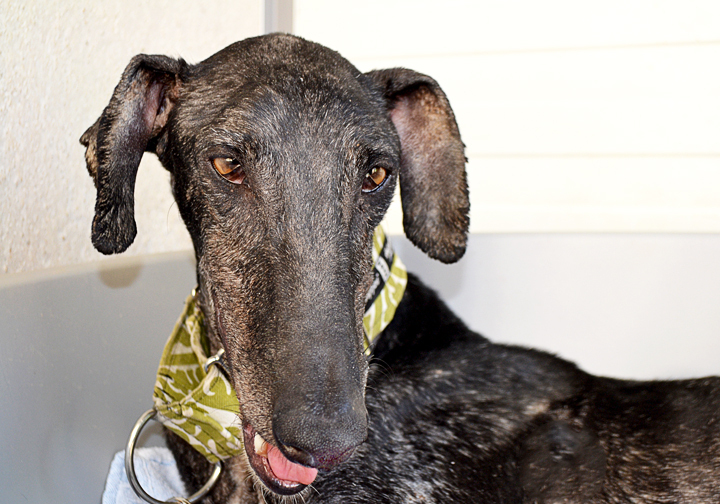 Suffering from leishmania, Alberto has a long road ahead for his recovery. GDS will give him the best care possible. Yes, I am interested in sponsoring or adopting Alberto!